Revelite brings art to life, evenly illuminating an artwork surface with beautiful color rendering accuracy. Revelite delivers premium illumination to fine art pieces, revealing an artist’s every brush stroke and color nuance. With both the Easel Light and Art Light, fine art can now be appreciated under the same light, from easel to gallery to collection. 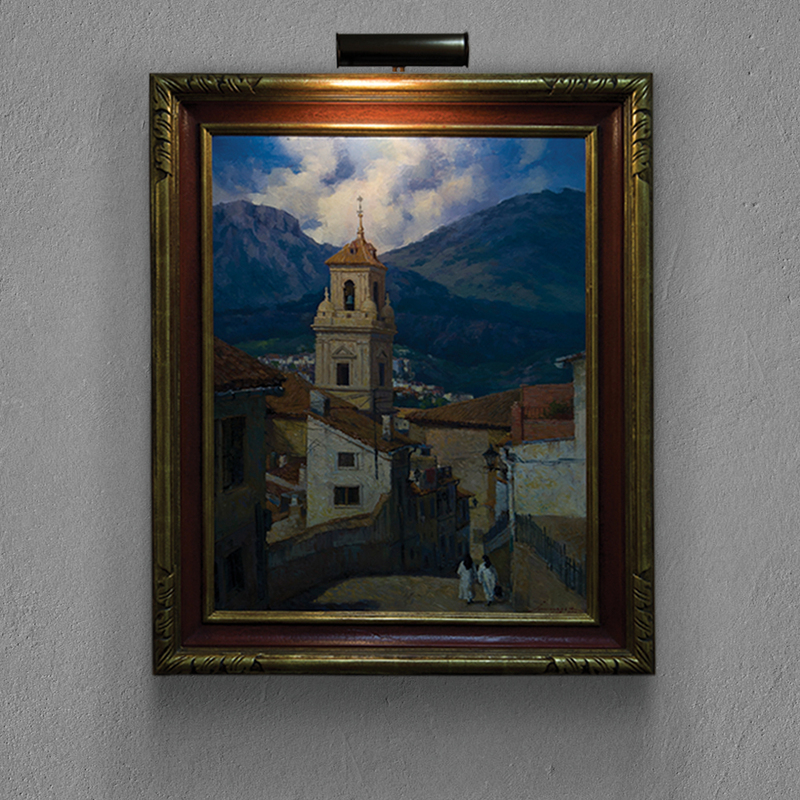 A slim luminaire discreetly and uniformly lights a wall mounted artwork with a patented combination of LED technology, optical precision and mechanical design. Revelite is not just a picture light, it’s a fine art light. Each Art Light is custom built and factory calibrated for an artwork’s specific dimensions, distributing uniform illumination across the full width and height of the surface. The Revelite LED light source emits full color spectrum lighting with a high color rendering index and R9 value, revealing true hues and values. Additionally, Revelite LED technology is art safe, providing a safer alternative to legacy sources that emit excessive and damaging UV and heat. 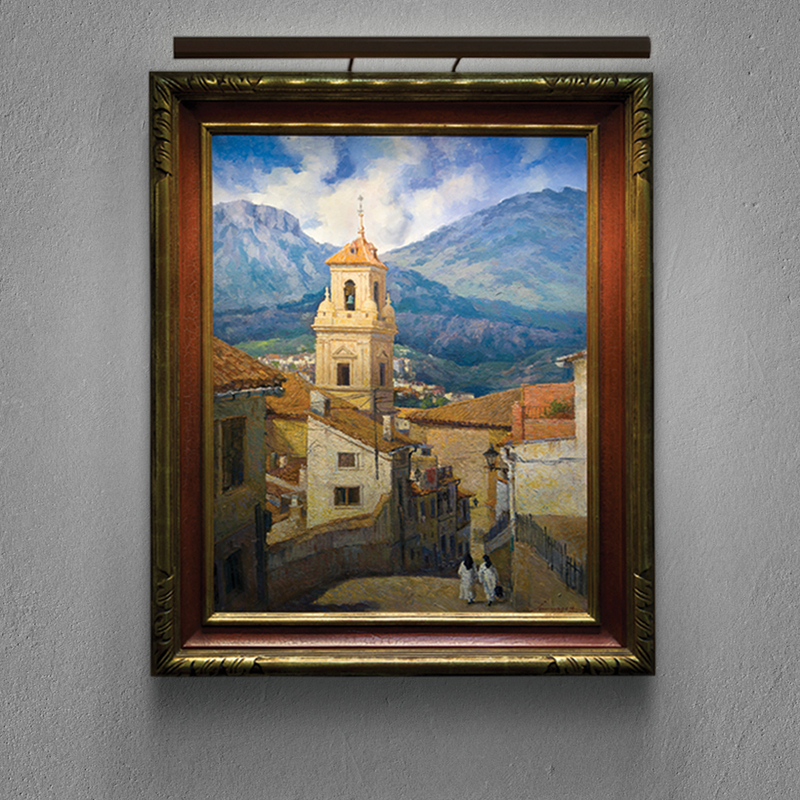 The Art Light’s low profile form virtually disappears against the frame or wall and pairs well with various styles of art including impressionist, modern, contemporary and photographs behind glass.